CNN Philippines' motoring program The Service Road has been condensed to a single day and will now be seen every Friday, beginning September 8. The 30-minute public service program, hosted by popular automotive journalist and New Day co-host James Deakin, will also be airing on its new primetime slot at 9:30PM, following CNN Philippines Newsroom. 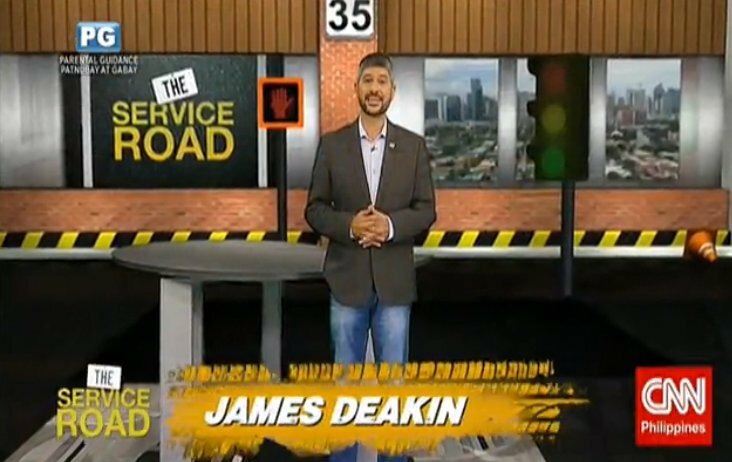 The Service Road first aired in September 2016 as a program dedicated to Filipino motorists and commuters who want to be in the know. Aside from tackling transport issues — the Anti-Distracted Driving Act, Transportation Network Vehicle Service (TNVS), among others — the program has also become a place where authorities and experts talk about solutions that can help improve the country's transportation system.